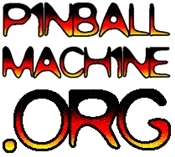 Pacific Pinball Expo – Here it Comes! The biggest pinball show in the world is coming at you in just two weeks, September 23rd through the 25th in Marin. Last year there were 400+ machines, so big it pushed the seminars into the adjacent hotel. You can expect the same kind of overwhelming Pinball excess this year. The prep started months ago and now the the crew is working full-out to get the latest games ship shape and ready for action. Even with a warehouse, the situation is jam-packed! Bikini Bingo. Yet most are wearing one-pieces! The crew talk strategy for the upcoming show between fixing games. The latest pinball murals by talented local artists take shape. And giant cardboard tubes will get them to the show in one piece. Space Invaders has thrown a few techs under the bus. Master fix-it man Chris Kuntz blows through my list of fixes on Special Forces. Ready to go! These finished games are stretching the walls of the warehouse! It’s all coming together! See you at the show! See more of the PPM warehouse here.